Each marine insurance policy written in northern climates (where the potential for freezing exists), has a Lay Up Warranty that indicates the period of time the insured boat is required to be laid up and out of commission. Many policies also specify whether the boat is to be laid up ASHORE or AFLOAT. 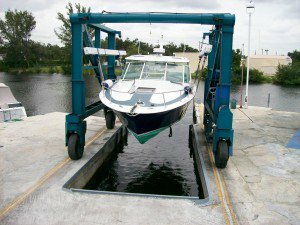 Making sure your policy accurately reflects the period of time your boat will be Laid Up and whether the boat is laid up ashore or afloat is your responsibility and is as important as winterizing an engine if a loss occurs to your boat during the Lay Up period. Example: A couple years ago one of our Minnesota charter clients decided to bubble his boat for the winter, laying the boat up afloat. His policy was set up with Lay Up ashore according to the insurance application he originally submitted. He failed to contact us to let us know of the change in Lay Up status and in February of that policy period his boat took on water and sunk in its slip. The insurance company denied coverage and did not pay the claim due to the breach of the Lay Up Warranty specified in his policy. In retrospect, all the captain had to do was to notify us letting us know of the change in lay up status and we would have changed his policy to cover his boat properly. Conversely, many insurance companies give a premium credit for each consecutive month a boat is Laid Up during a policy period. The credit is usually higher if the boat is Laid Up ashore rather than afloat because the exposures are greater when the boat is afloat, but if you have a long Lay Up period it can lower your annual premium significantly. It makes good sense to review your charter policy at this time of year to be sure your policy accurately reflects the time frame and manner in which your boat is laid up. It may even save you money. If you have any questions concerning winter Lay Up or decide to change the manner in which you lay your boat up this winter please notify us so we can change your policy and protect your boat properly.